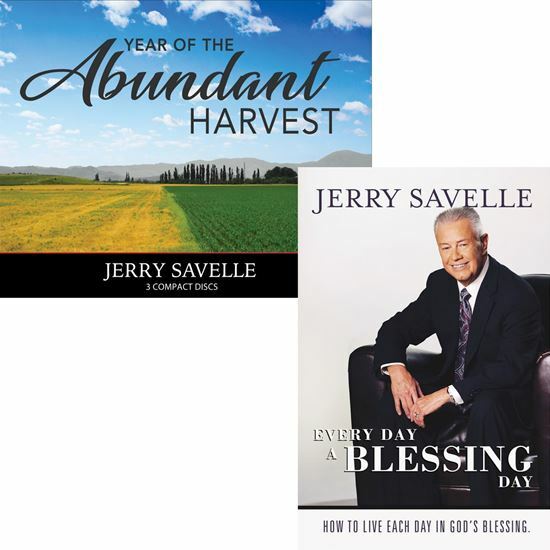 In the powerful 3-CD series, “Year of the Abundant Harvest,” Jerry Savelle demonstrates with scripture how Harvest time is decreed through prophecy, how God never forgets a seed sown, how the Abundant harvest enables you to be an abundant giver, and more! You can live every day in God’s blessing! Also included in this resource package is the inspiring book, “Every Day a Blessing Day.” In it’s pages you will learn what the blessing of God is and how you were created to prosper and excel! This package contains the 3 message series "Year of the Abundant Harvest" on 3 compact disc and the hardback book "Every Day a Blessing Day"
This package contains the 3 message series "Year of the Abundant Harvest" on MP3 and the eBook book "Every Day a Blessing Day"